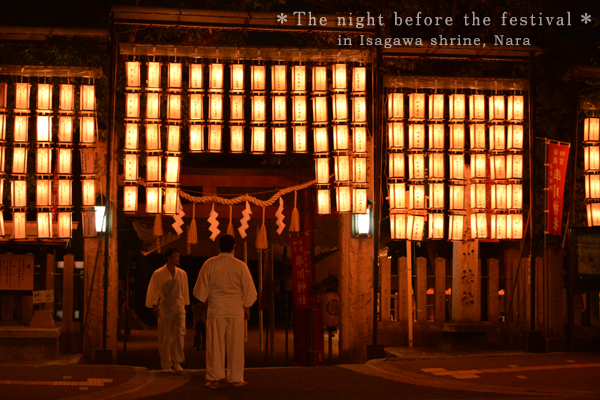 This is eve of Saikusa Festival at Isagawa Shrine. when these lanterns are lit. She found that the night was very nice and quiet.